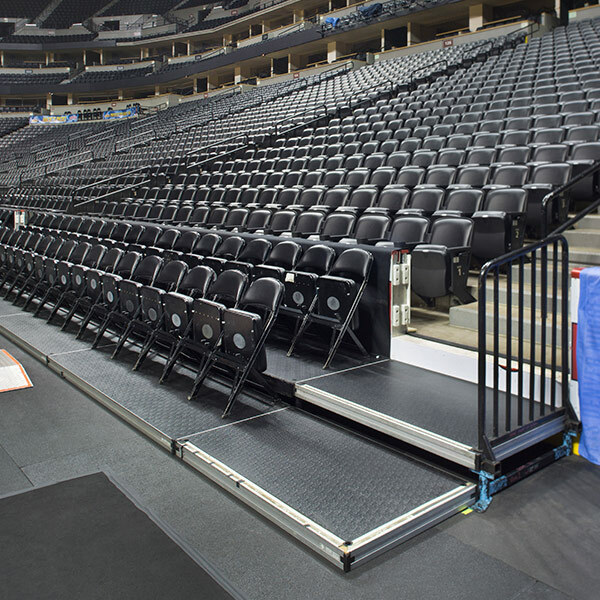 Get flexibility to create ADA seating, VIP seating, or Media Platforms over existing seating at any event. 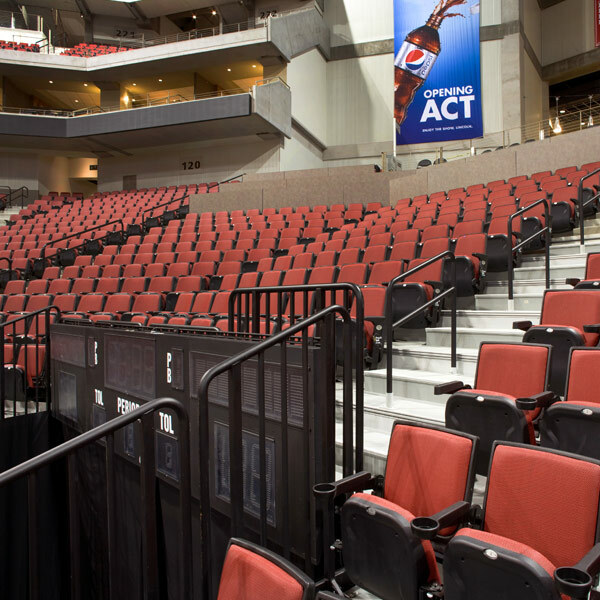 Adding seats means adding revenue for your event. 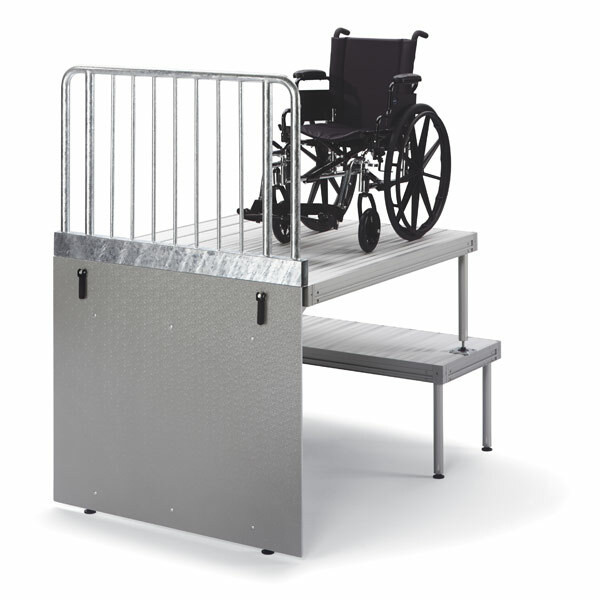 A solid, aesthetically pleasing seating riser ideal for endcourt, sidecourt and custom infill applications. 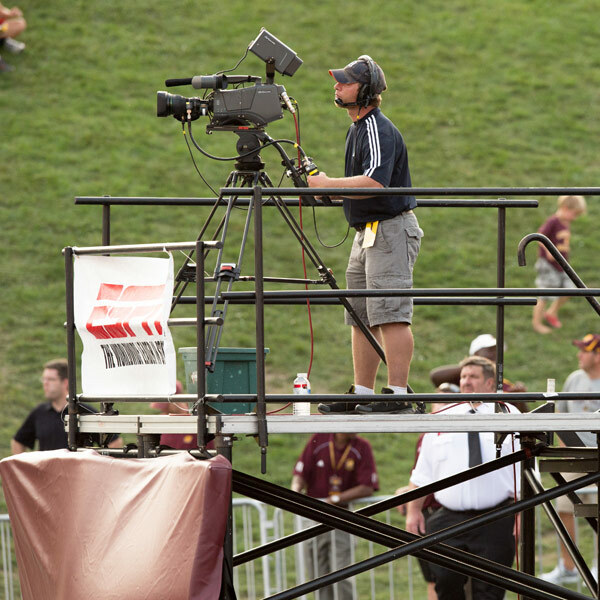 A solid and safe platform for camera applications.